The China International Import Expo (CIIE) currently underway in Shanghai is a great opportunity for enhancing international development, says Lubinda Haabazoka, president of the Economic Association of Zambia. Lubinda, a Russian trained economist, expressed happiness at China’s move to further open up its market to products from all over the world. Haabazoka expressed hope that the expo would help increase a wide range of Zambia’s exports to China. “This is something new and welcome. It would make the rest of the world to open up their markets also,” said Haabazoka. He explained that Zambia stands to benefit a lot from exporting products to China, given the size of the population of that country. “We just need to work out ways of tapping into that big market,” he said. Haabazoka observed that the expo should have attracted a lot more Zambian companies than it has now and that going forward, companies should invest more in learning about the Chinese market so that they can take advantage of the gaps. He added that the expo will enhance trade because “We are not only going to see China exporting finished products to Africa, Africa will start exporting both raw and finished products to China and that is a win-win situation that we would want to see,” he said. 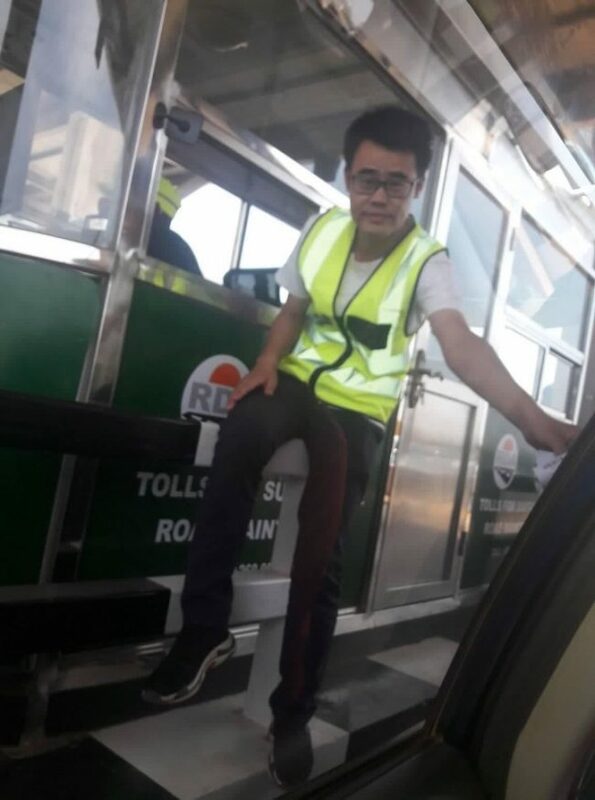 In the photo, a Chinese expatriate manning tollgate in Zambia, a simple job that can be done by any of the thousands jobless youths.